A very pleasant experience from the time I filled out the paperwork until I left the building. Dr. Lai was veryfriendly and professional. My first visit and my experience was good. Dr Lai listens to and addresses all my questions, and explains all possiblefollow up options. I also got email for health portal setup right after my check in. I can tell things are moving quite efficiently. My first visit and my experience was good. Dr Lai listens to and addresses all my questions, and explains all possible follow up options. I also got email for health portalsetup right after my check in. I can tell things are moving quite efficiently. Frank C. Lai, MD is a board certified urologist who has been with the El Camino Urology Medical Group since 2003. He was born in Taiwan and raised in Chicago; there he attended the Illinois Mathematics and Science Academy. He is a Phi Beta Kappa graduate of Johns Hopkins University where he was the Conference Champion. 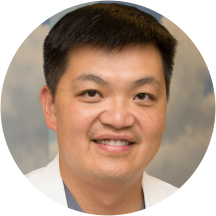 Dr. Lai earned his medical degree fro Northwestern University Medical School, where he was elected to the Alpha Omega Alpha Honor Medical Society. He completed his residency and served as a Chief Resident in urology at Stanford University where he received several awards for his research and publications. He went on to complete a Society of Laparoendoscopic Surgeons certified Minimally Invasive Surgery fellowship at Cedars Sinai Medical Center. There he specialized in advanced, minimally invasive laparoscopic, robotic, and endoscopic procedures for a variety of urologic conditions including kidney, adrenal, and prostate cancers, complex stone diseases and voiding dysfunction. He is also particularly interested in the medical management and prevention of stone disease. Dr. Lai is a Fellow of the American College of Surgeons (FACS). Great beside manners. Wonderful and courteous assistants. I was able to get in on very short notice, and the staff worked to help with this first thing in the morning. Dr. Lai took the time to make sure of the issue, and took the time to explain things. My experience could not have been better. I was very disappointed with my visit. It took almost an hour before the Doctor met with me and when he did, his manner was awful. He continually interrupted me while I was describing symptoms which was beyond frustrating given thathe was the one asking for details. His attitude gave me the impression that he wasn't taking my case seriously and I essentially had to plead with him for _some_ actual medical advice. He took me into an exam room and nearly forgot to actually do the exam which lasted all of 30 seconds. A total waste of time and really makes me not want to deal with Doctors in the future. I went to this specialist after my visit to primary care doctor and all he did is use the pain killers over the counter . Overall, Dr. Lai was solid. He has good bedside manners, is understanding. He was also very open with me, no beating around the bush or pressuring me to do additional items here and there. ZocDoc service was exactly what I wanted, It was my first visit. And the overall impression of the doctor to me is very well. He is nice to talk and discuss about the issue. I have a follow up visit tomorrow about the actual treatment, hoping for the best.